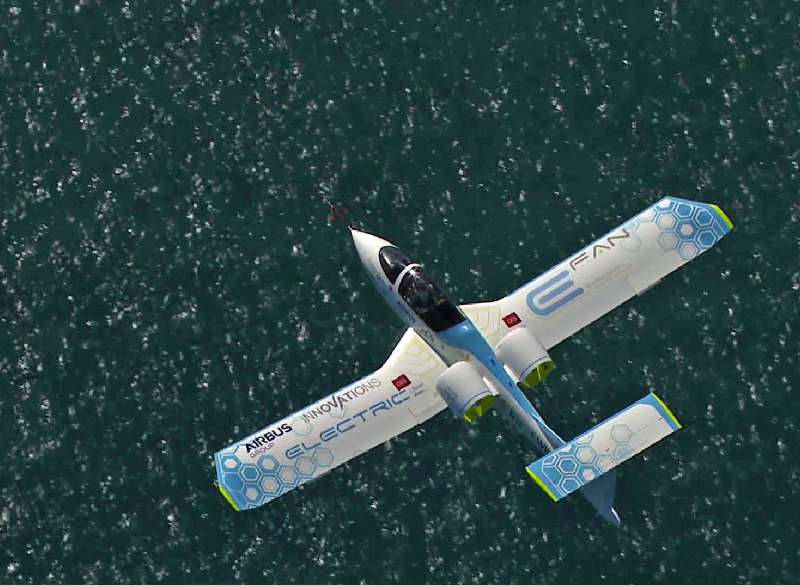 A battery-powered race to cross the English Channel. On July 10, an airplane powered by electricity, the Airbus E-Fan, took off from Lydd, England, accompanied by a camera-equipped chase plane. It landed less than an hour later in Calais, France, to kick off a press conference where the company better known for its gas-burning airliners was prepared to claim that it had made the first battery-powered flight across the English Channel. But just 24 hours earlier, a competitor was preparing to beat Airbus. French stunt pilot Hugues Duval packed himself into a Cri-Cri, one of the smallest airplanes ever built, and cranked up its two battery-driven propellers. Towed aloft and released like a glider, the Cri-Cri crossed the channel in 17 minutes, landing in Calais with little fanfare. The competition was a reenactment of the famous 1909 race in which Louis Blériot made the first crossing of the English Channel by air, demonstrating aviation’s utility when it was a curious upstart. Today’s contestants hope that by following in Blériot’s wake they can show the aerospace community that electric airplanes are practical and safe. “Over water you need to take special safety measures to ensure your plane can fly…and can comply with any unforeseen situation,” says Detlef Müeller-Wiesner, Airbus’ head of e-aircraft. Gas-powered aircraft have to be certified for overwater flight, but Airbus had to create its own system for assuring the E-Fan was qualified to make the trip, he says, because there are no standards yet for electric aircraft. These flights were more a demonstration of energy storage than of electric power: The first electric airplane to cross the channel was actually AeroVironment’s Solar Challenger, which made the flight in 1981 powered only by solar cells. Having no batteries, it would have fallen from the sky if the sun stopped shining. The E-Fan can stay aloft for up to an hour on batteries, though it’s slow. The Cri-Cri is speedier, but can power itself for only a half-hour. The Cri-Cri may have won the crown, but it’s essentially an airshow toy, and there are no plans to build it bigger. But the E-Fan was built with expansion in mind: Airbus plans to make two larger versions with twice the endurance for flight schools. Despite the successful demos, batteries aren’t quite ready for prime time. Solar Impulse 2, the electric airplane slowly circling the globe, is grounded until spring 2016—during its 118-hour flight from Japan to Hawaii in July, its batteries overheated and were irreversibly damaged.